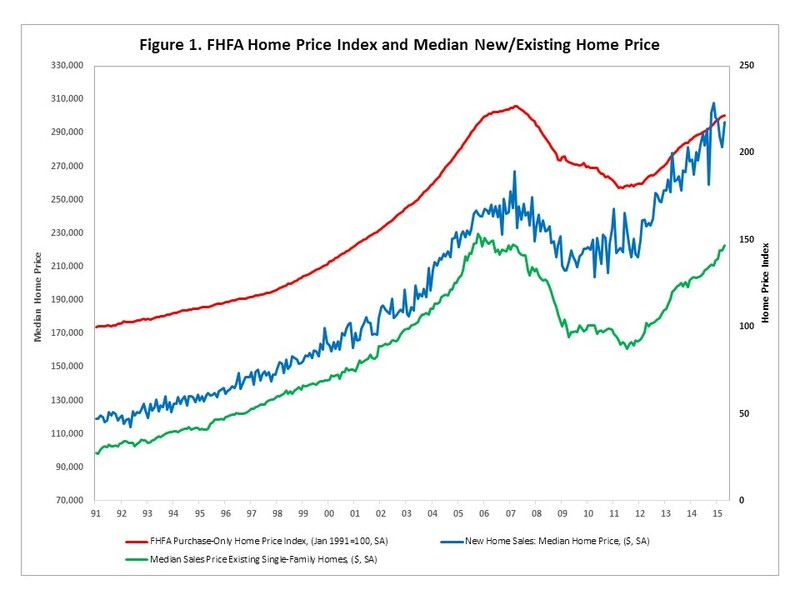 The Federal Housing Finance Agency (FHFA) and the Standard and Poor’s/Case-Shiller recently released their respective home price indices for April. House prices have been recovering since reaching the bottom of the downturn in 2012. Both the new and existing single-family homes’ median sale prices are presented along with the home price index. All three indicators tell a similar story of rapid acceleration during the housing boom, sharp declines during the bust and steady recovery since 2012. 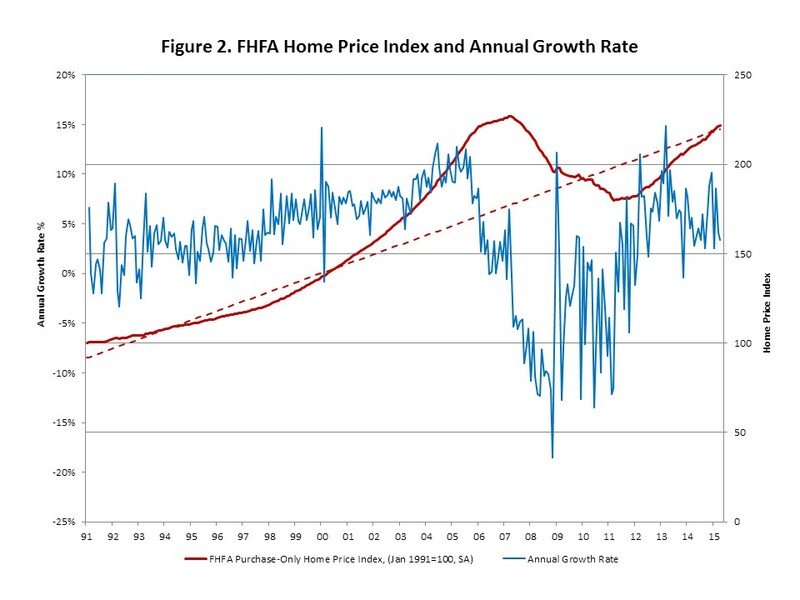 The annualized growth rate of the FHFA price index has been volatile month to month but provides a detailed measure of the pre-boom stability, boom period acceleration, subsequent collapse and recovery of prices. The post-crash growth rate reached a double digit peak in 2013 but has decelerated to more sustainable levels since then. The annual growth rate is 3.4% in April, comparable with the 4.1% in March and lower than the 8.6% in February. The recent more subdue growth has brought the index level back in line with the pre-boom and bust trend. 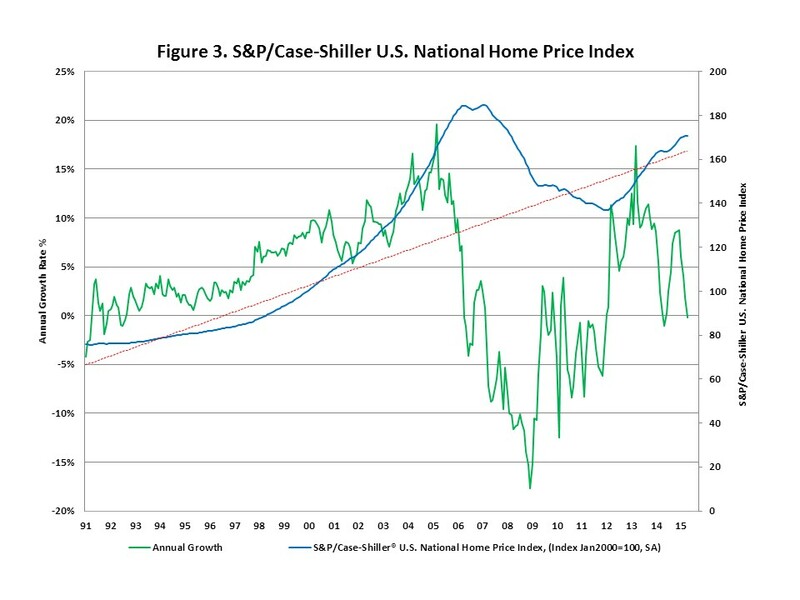 House prices reported by the Standard and Poor’s/Case-Shiller show the same dynamics as the FHFA index, sharply rising prices during the boom followed by steep declines and finally recovery beginning in 2012. The Case-Shiller index also shows volatile monthly growth rates and a deceleration in price growth since 2013.